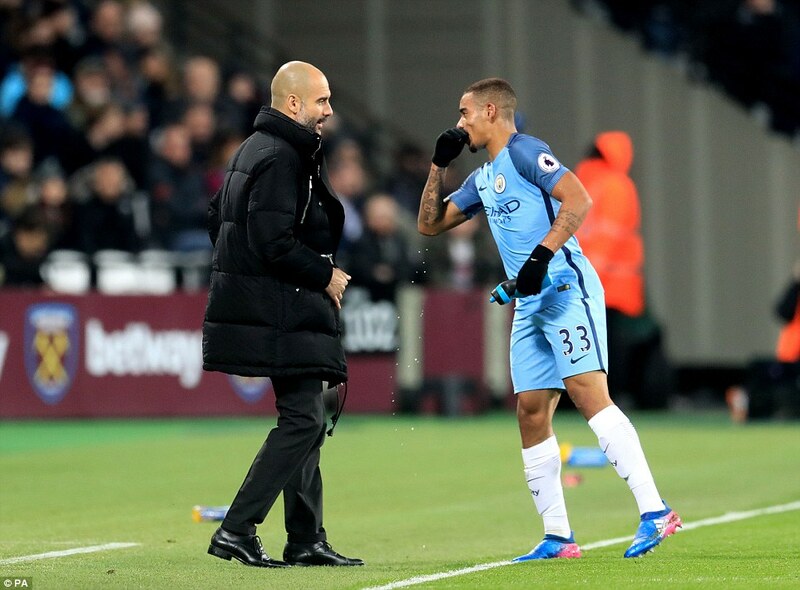 Pep Guardiola really wasn’t kidding when he said he loved this stage. Perhaps it is the Olympic spirit still burning in his soul 25 years after he won gold with Spain at the Barcelona Games. 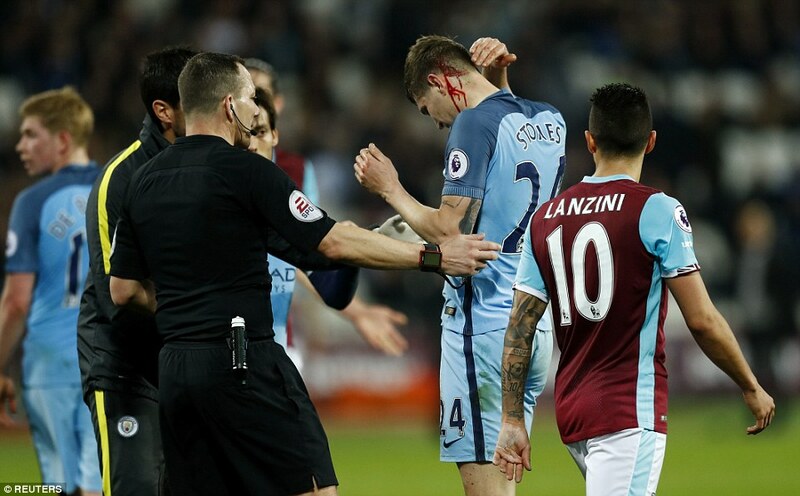 More likely there’s something about West Ham. If not the expansive nature of the athletics stadium, then certainly the wide open spaces in their defence. 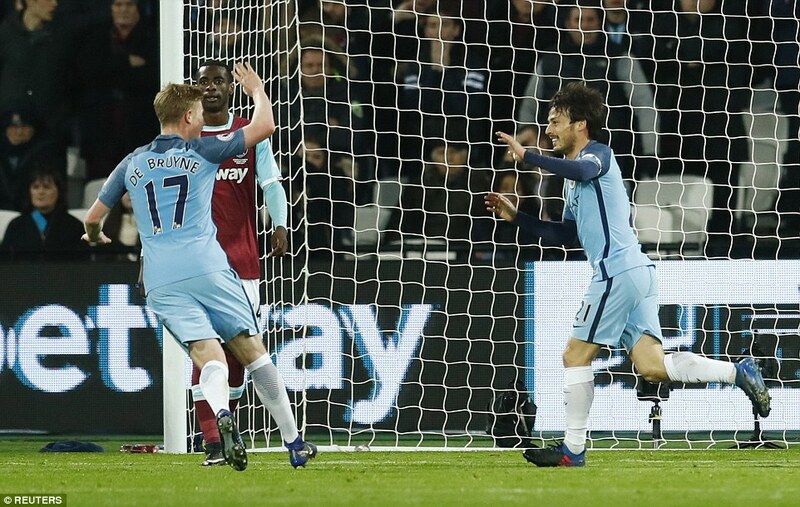 Manchester City have feasted on 12 goals against the Hammers in three games this season. 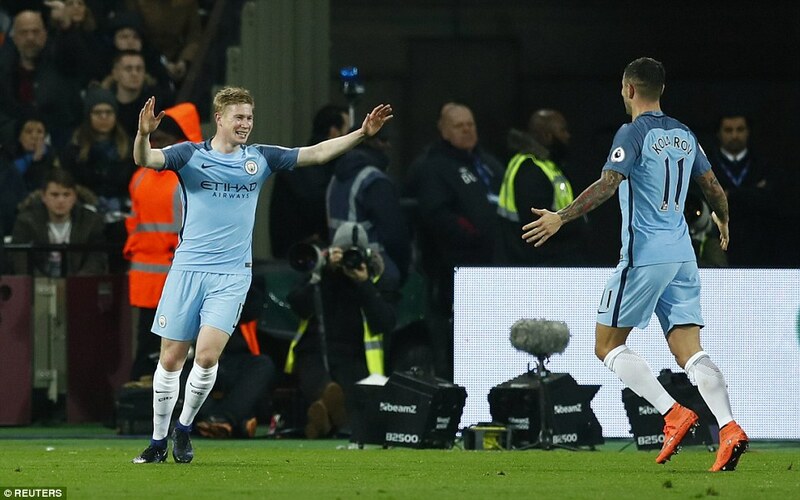 Kevin De Bruyne (No 17) linked up well with Gabriel Jesus before firing Manchester City into lead with fine finish. 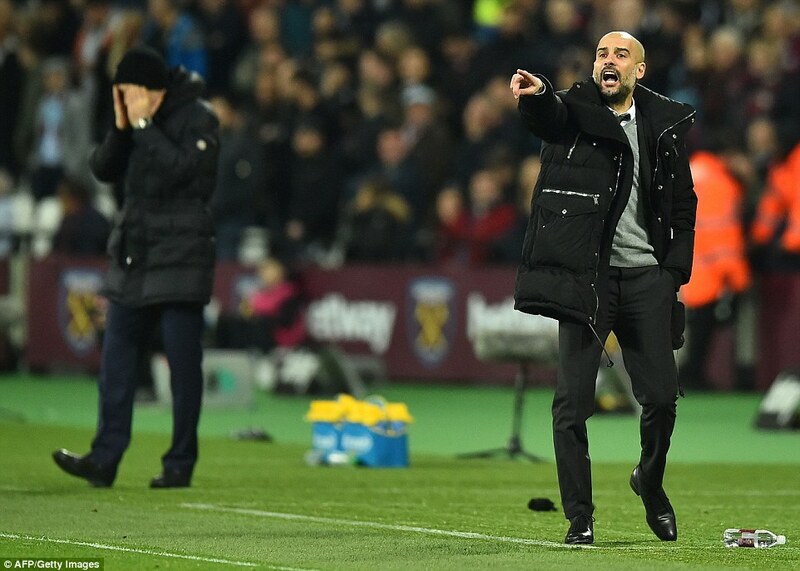 Or it could be something about City because this particular romp seemed to be less about the inherent frailties of the home team – although they surely linger – and more about the evolution of Guardiola’s team. 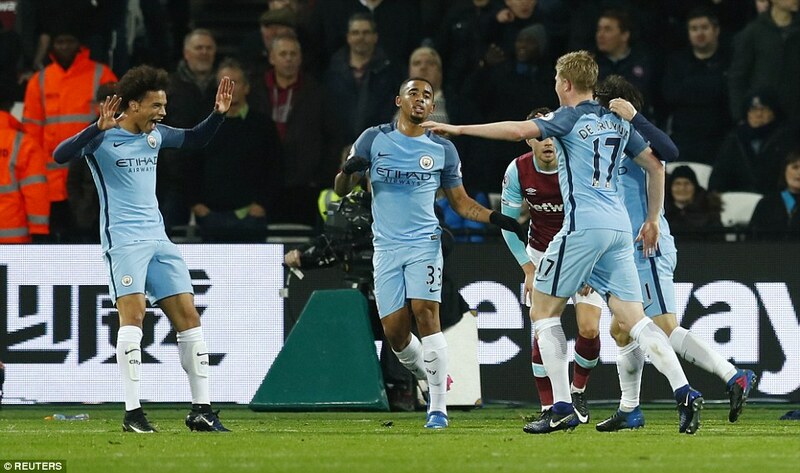 Kevin De Bruyne, David Silva and Gabriel Jesus scored the goals which made the game safe inside 40 minutes. 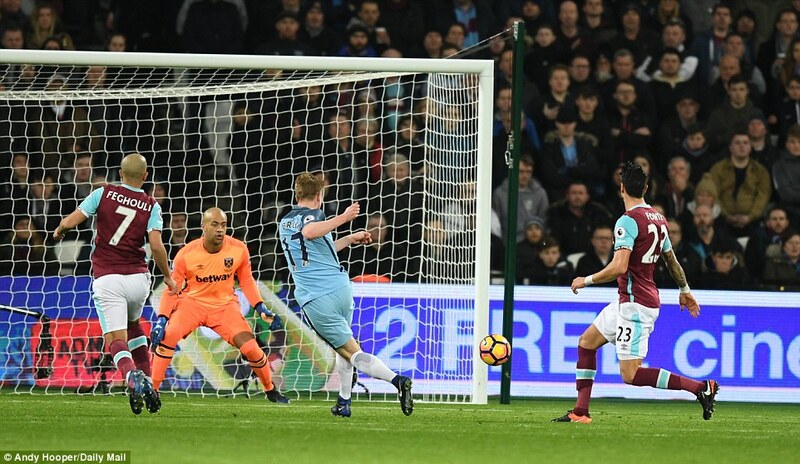 Yaya Toure added the fourth with a penalty after a tired foul on Raheem Sterling by Jose Fonte, who endured a debut best forgotten. 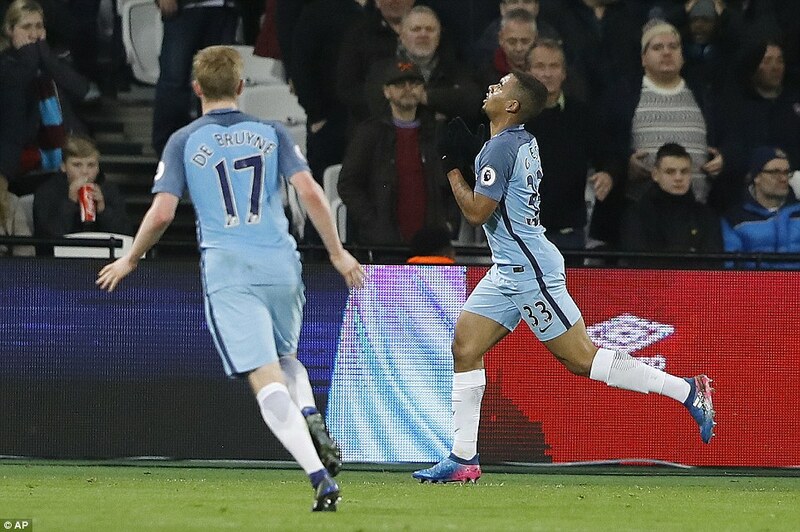 The second half descended into little more than a training exercise but in the first-half, City were exhilarating. 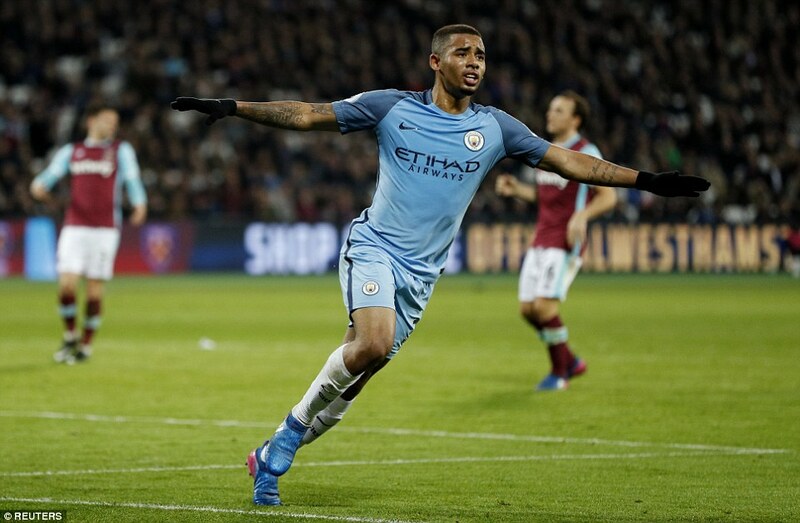 Brazilian Jesus has adjusted quite brilliantly since his arrival last month and was preferred to Sergio Aguero at centre forward. 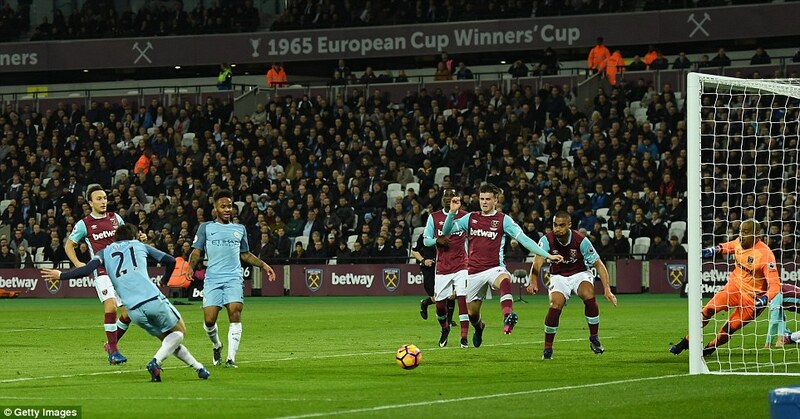 With Leroy Sane and Sterling either side they were simply too quick for West Ham. And too willing. They chased and hassled, closing down the ball and forcing errors in possession. On the turnover, they were devastating. 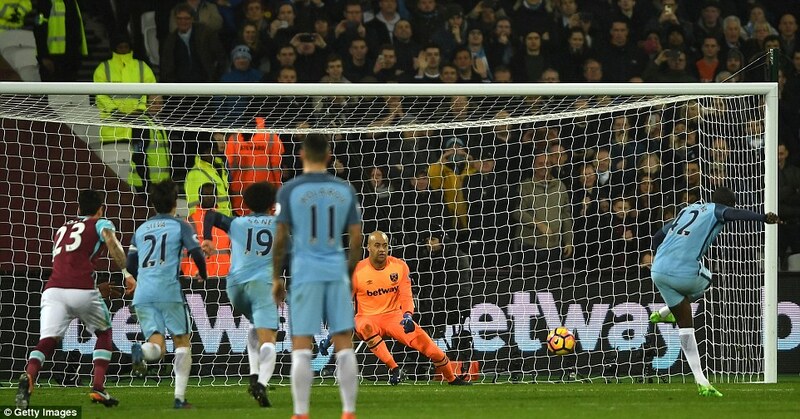 The game was over by the interval with City fans wondering if they might yet mount the sort of winning sequence which will be required to catch Chelsea at the top of the Premier League. Chelsea boss Antonio Conte was in the crowd to witness it. Was this the start of the challenge? 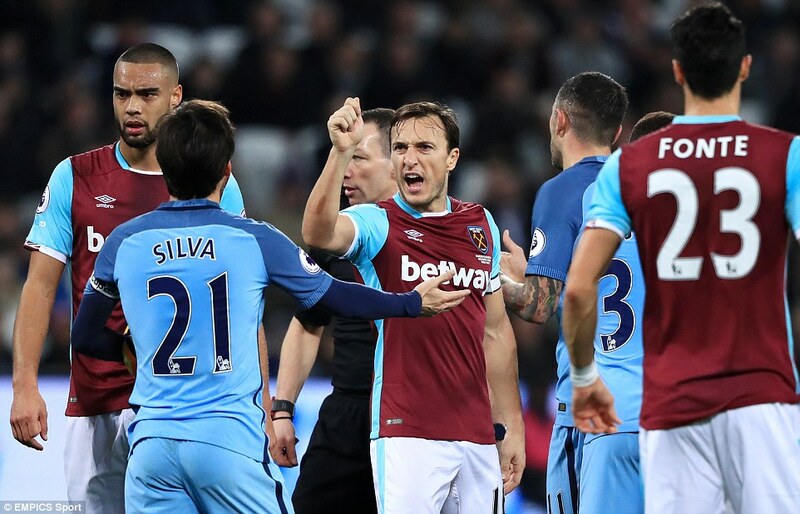 The best that can be said for West Ham was that this hammering was not quite as abject as the last one, a 5-0 defeat in the FA Cup which proved something of a turning point for Bilic and his team. 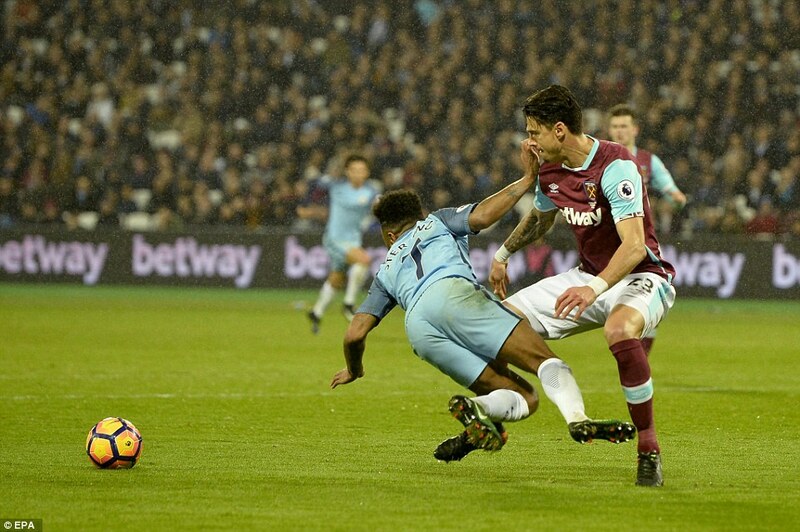 On that night, City were slick and West Ham failed to get near them. 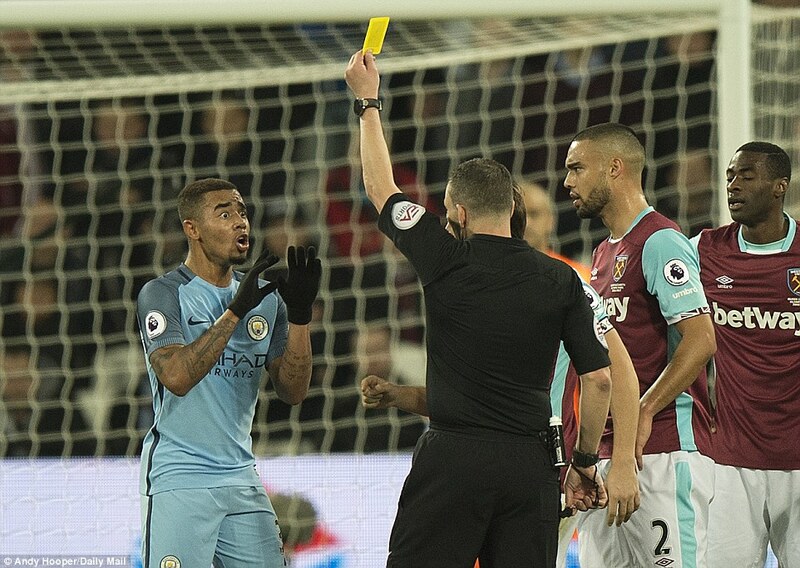 It was the final appearance of Dimitri Payet before the strike, the stand-off and the return to Marseille. 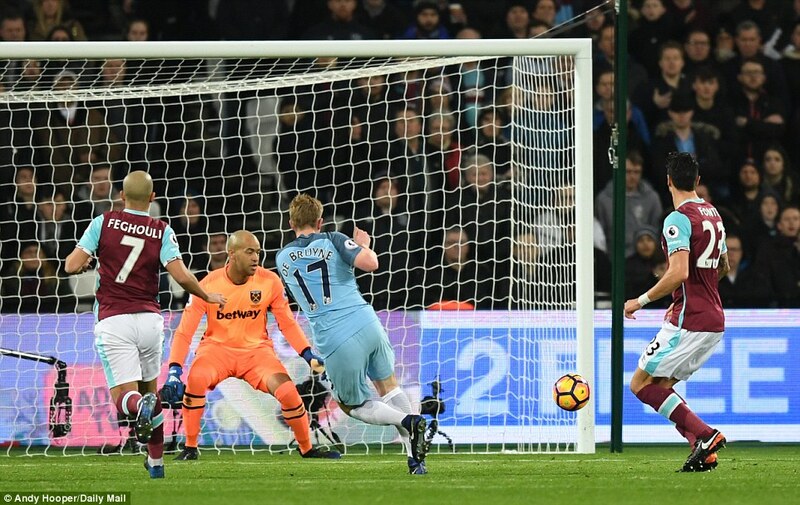 On Wednesday night, the image of Payet which had adorned the outer wall of the London Stadium had been replaced with one of Andy Carroll converting his bicycle-kick goal in the win against Palace, on his previous outing at the venue. 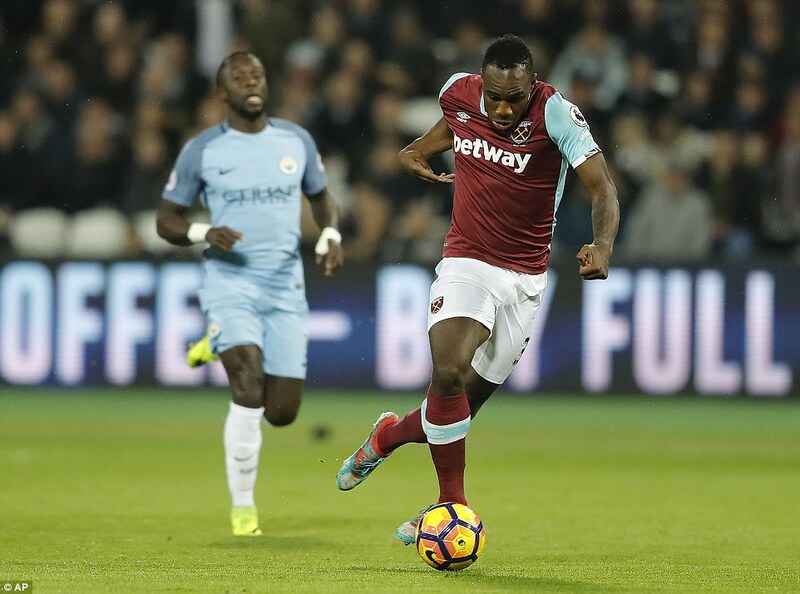 Bilic switched formation during the Palace game and stuck with it again, with Michail Antonio through the centre in support of Carroll. 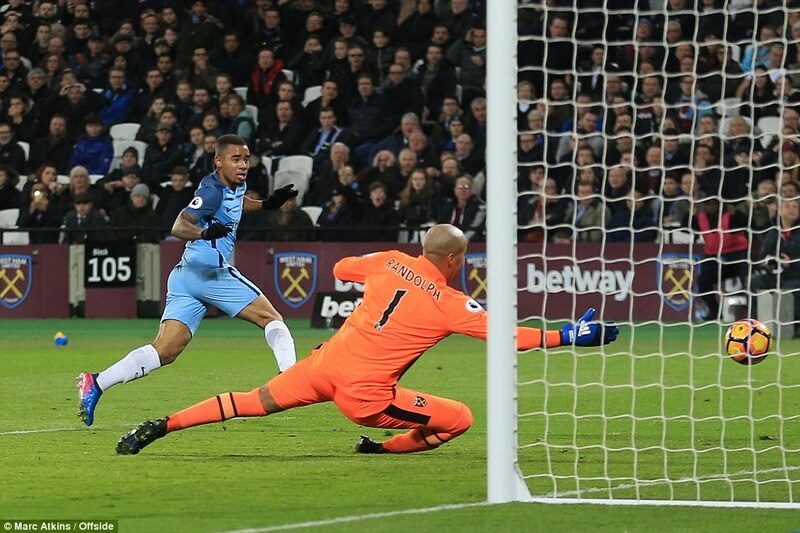 12 – Goals City have scored against West Ham in three matches this season. 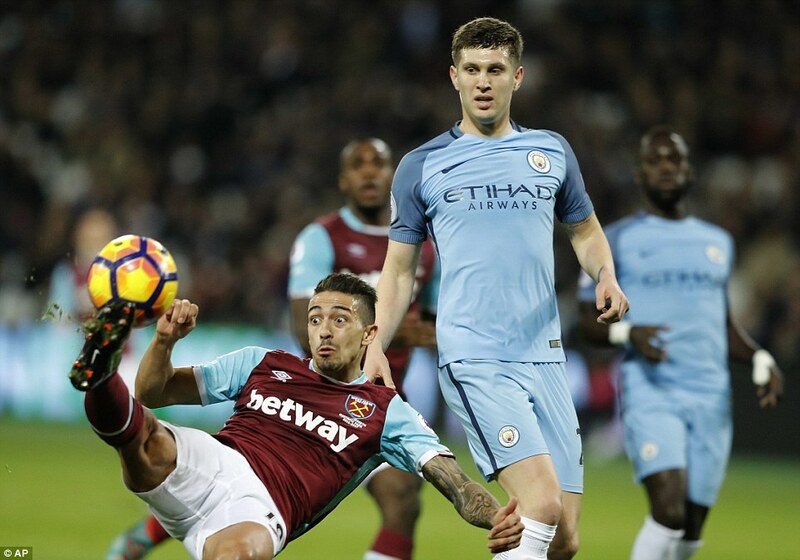 Nine have come at the London Stadium — the Hammers took eight matches to score that many at their home ground. At least they tried to engage and compete. 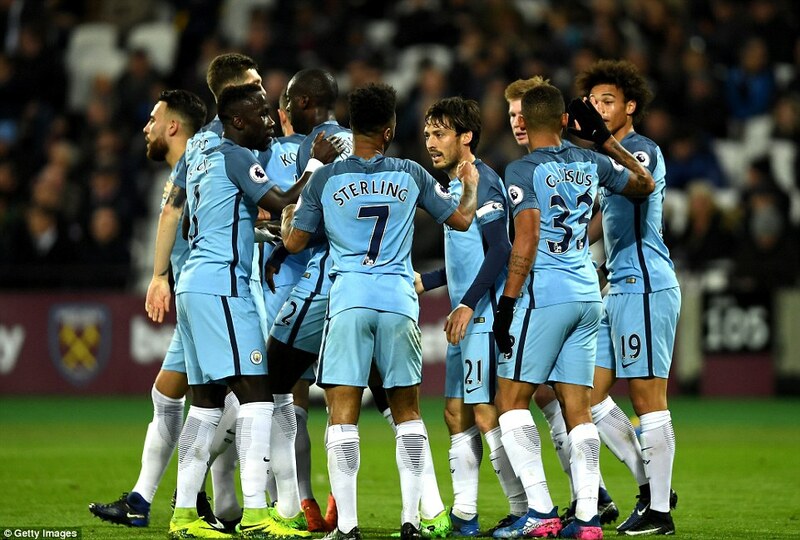 The problem was, City were better, too. So much better. 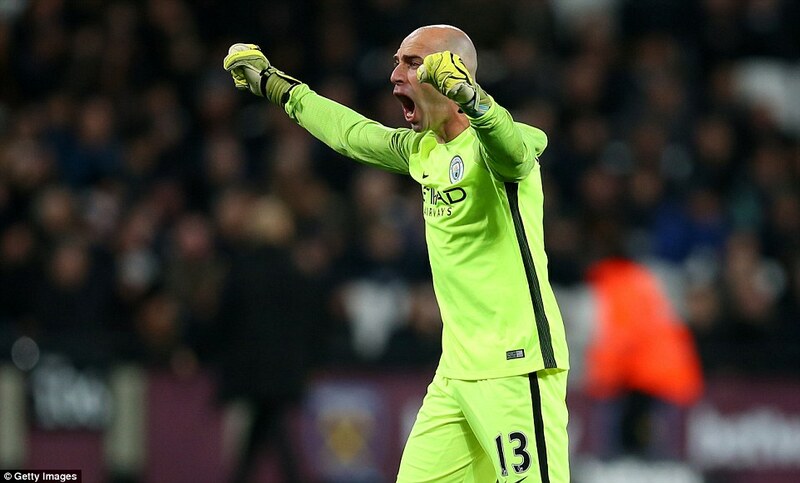 With another clean-sheet for Willy Caballero, selected ahead of Claudio Bravo. 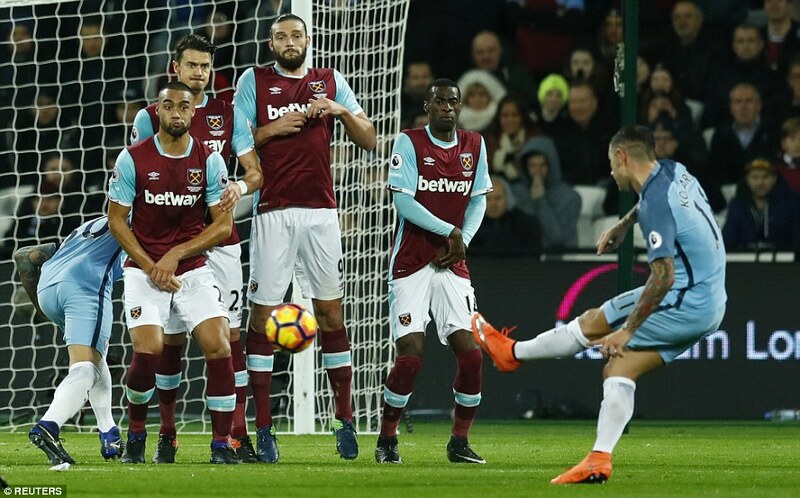 Fonte came in at centre half alongside Winston Reid, charged with the task of keeping City’s fluid front five at bay. It would be a baptism of fire. 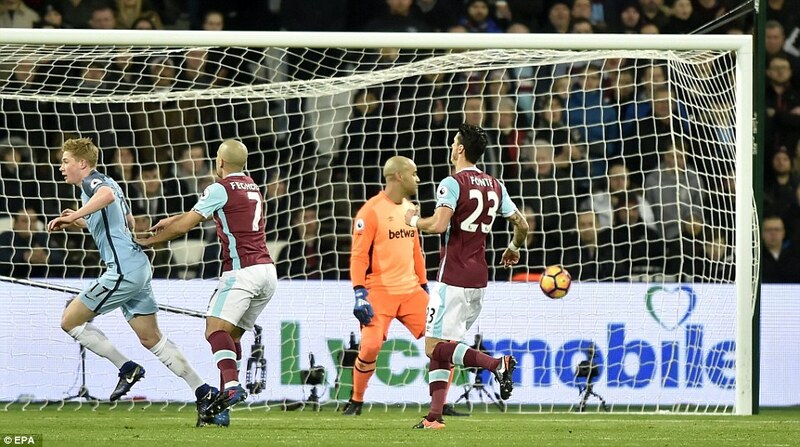 They managed it for 17 minutes, before a stray pass from Aaron Cresswell dropped them in bother. 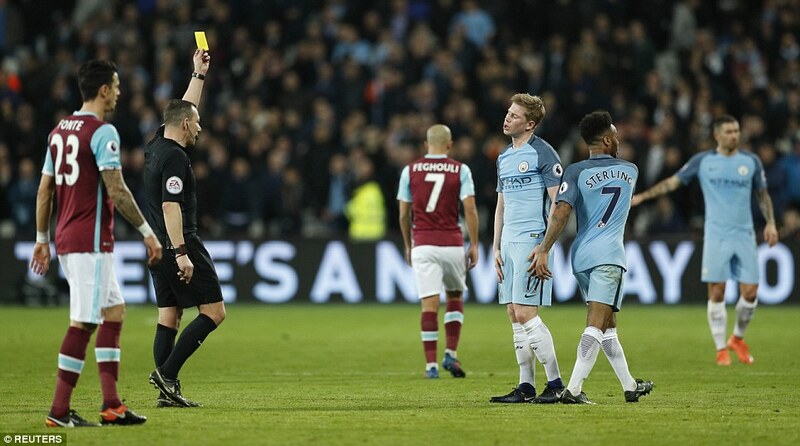 Cresswell gave it to De Bruyne, who traded crisp passes with Jesus, and swept a finish past Darren Randolph. Four minutes later, the visitors made it two. 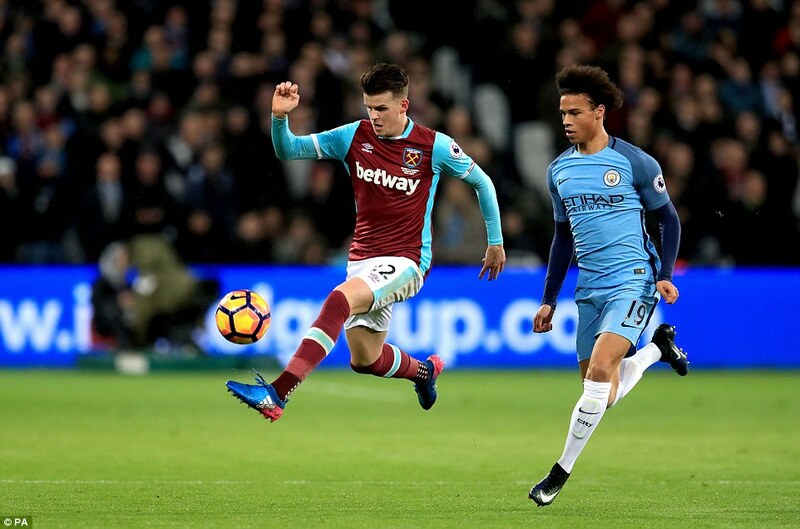 This time Leroy Sane danced down the left flank, with a nutmeg and a shimmy taking him past Sam Byram and Fonte. 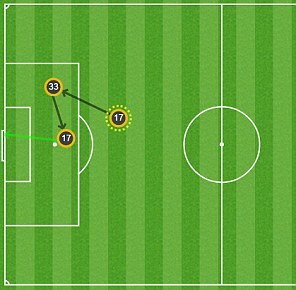 Sane’s low cross was diverted by Randolph but Silva arrived at the back-post to turn it in. Sterling headed wide, moments later. 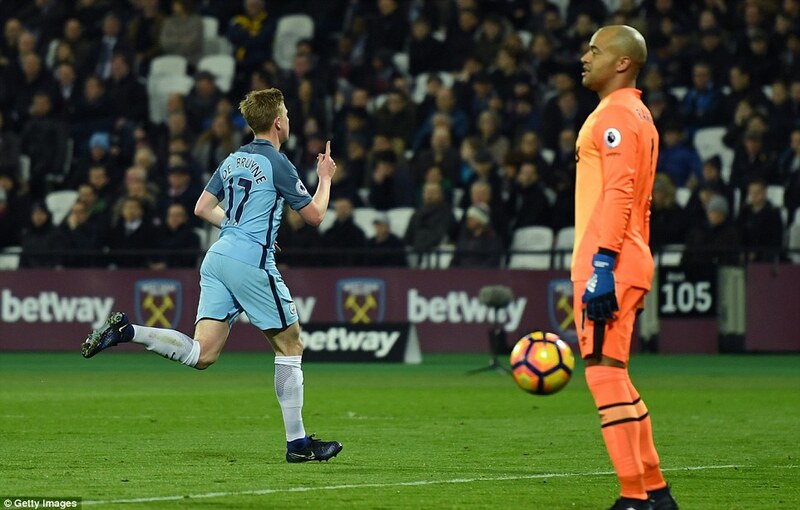 Aguero looked on from the bench, surely concerned about his status as star striker. 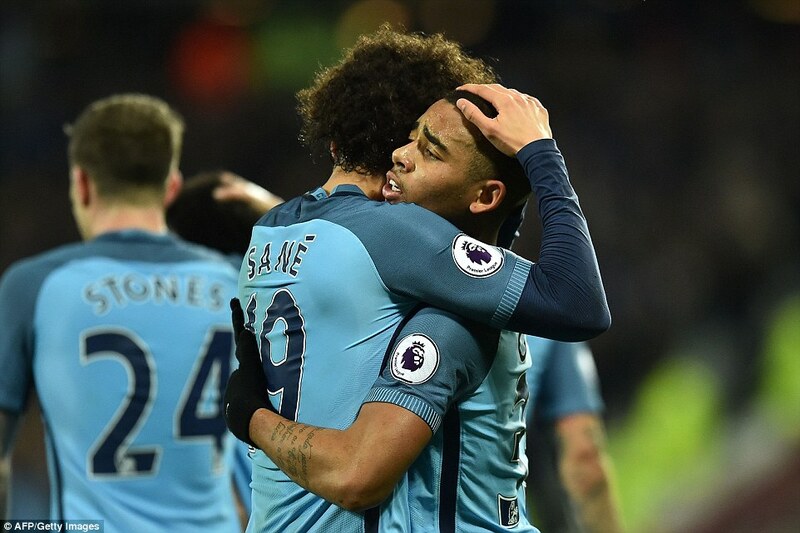 With Jesus, Sane and Sterling up front, this City line-up is blisteringly quick, backed by the vision and creative intelligence of Silva and De Bruyne, deeper in midfield. Any team unable to dominate in central areas, or exert pressure on their back-four will be stretched. 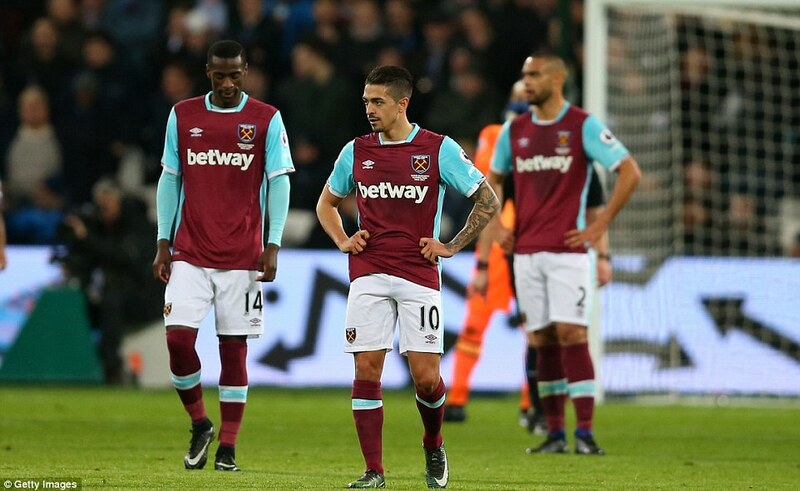 West Ham managed to engage more than they had in the Cup but they were soundly pummelled in the first 45 minutes. 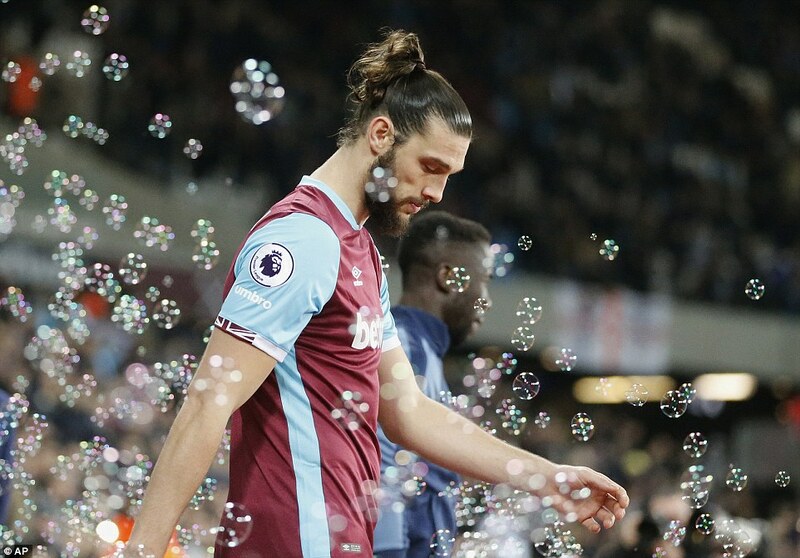 There was one glimpse of City’s vulnerability when Carroll released Cresswell into yards of space vacated by Bacary Sagna. 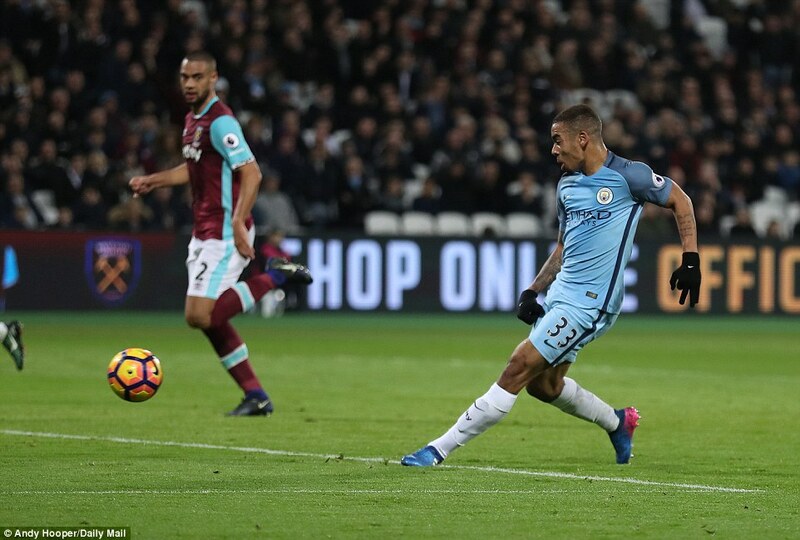 But Cresswell’s attempt was wildly off target and Jesus magnified the pain by making it 3-0 before half-time. 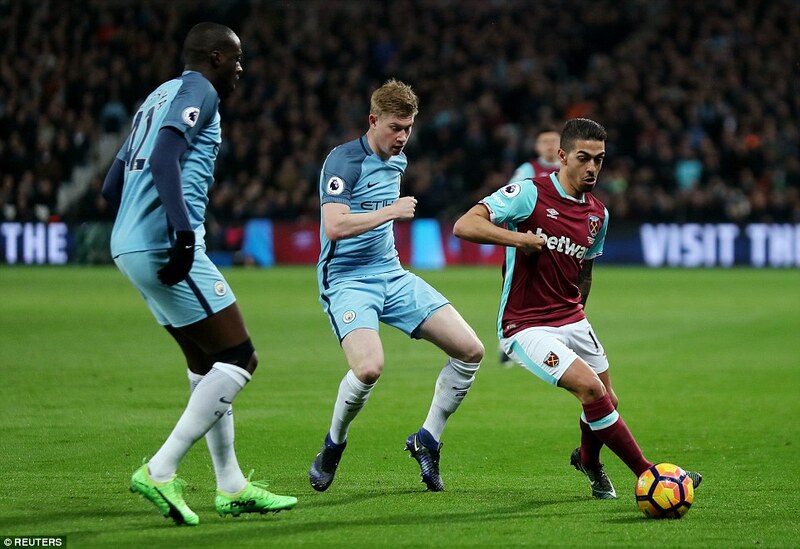 Again, West Ham surrendered possession cheaply under pressure. 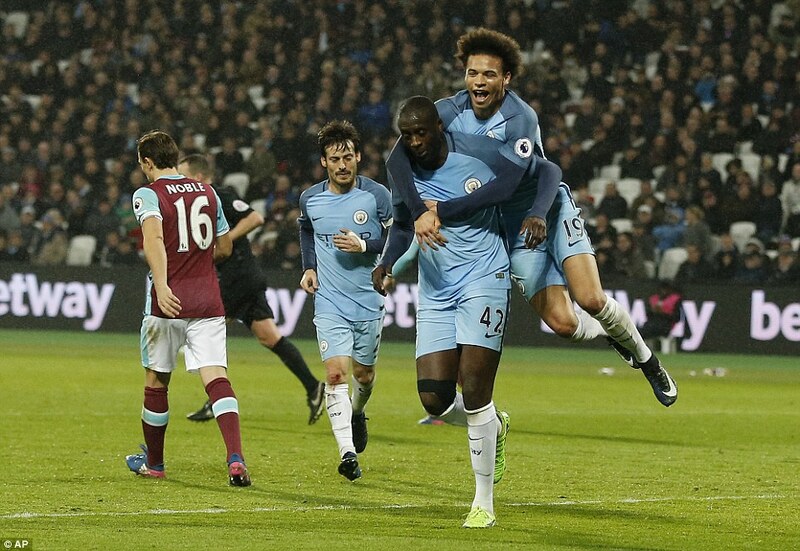 Pedro Obiang was hurried into a poor pass which was pinched by Sane, who found Sterling, who squared for Jesus to celebrate his first goal for his new club. 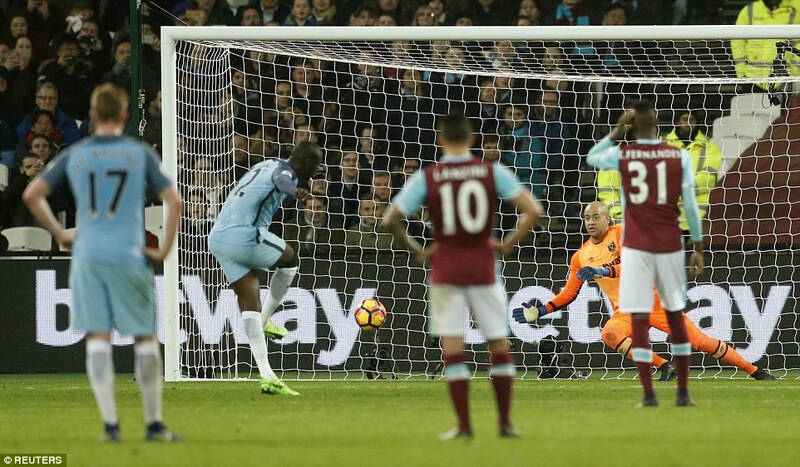 It was the 30th goal conceded by West Ham against City in 11 games since the start of the 2013-14 campaign – and No 31 followed from Toure, reliable as ever from the spot. 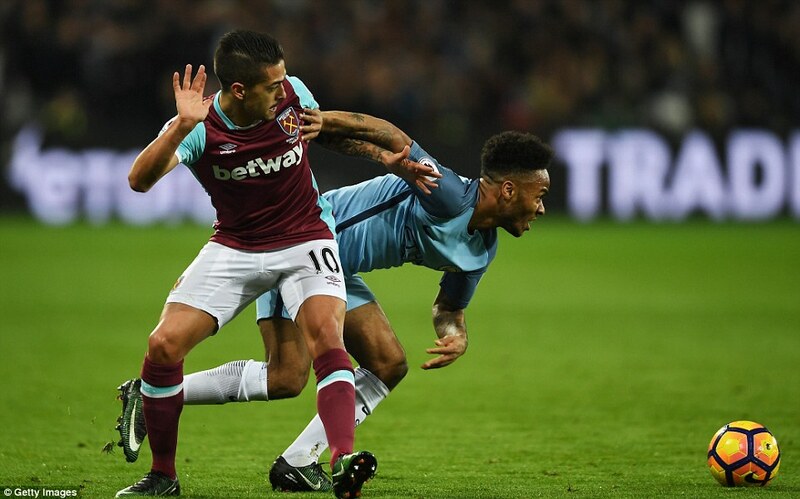 Then City unleashed Aguero. Just what you want to see at 4-0 down, Aguero climbing off the bench with a point to prove.